We provide our clients with Aluminum Hard Anodizing Service. Well recognised for its high resistance to wear, the Aluminum Hard Anodizing Service is accepted among our customers across the nation. An aluminium body, if provided with hard anodizing last loner better than steel. 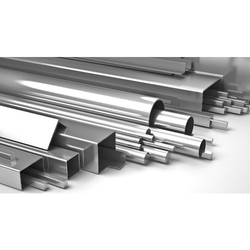 We are looking most of the inquiries from Nagpur area only for Aluminum Hard Anodizing Service. 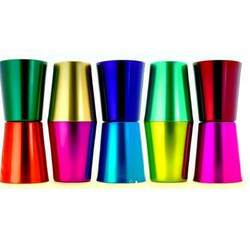 Our organization is rendering Aluminum Anodizing Spray Job Work. This service is completed at low prices. This service is handled by professionals who have affluent industry practice and skill. Additionally, this service is widely admired in the market for their timely completion. Our company has earned accolades for offering Aluminium Anodizing Service to the clients. The process of hard anodizing is aimed to create a decorative or protective film over the surface of aluminum and alloys. Our Aluminium Anodizing Service is rendered at our end as per the patrons given specifications. We provide our clients with Aluminium Hard Anodizing. Well recognised for its high resistance to wear, the anodizing is accepted among our customers across the nation. An aluminium body, if provided with hard anodizing last loner better than steel. Our firm was doing jobwork in hard anodize on aluminium product of cooket , tava, vaghariya , handi, lid, etc... with best quality production. Our following best quality production.